BJP will never change ! Older the goose harder to pluck. 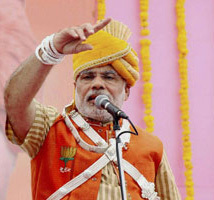 It is too late to expect BJP to change its lower ethos and low level of political morality. Those who objected artist MF for some piece of art are themselves making a mockery of norms of politics and culture. This cartoon is a reflection of a level of personal hate, an example of shock communications at its absolute worst. You can call it cheap sensationalism. The BJP politics only hacks stoop to that level. I am offended as the word DAYAN is used. I am sure this silly cartoon is the most eloquent display of personal Vendetta against Sonia Gandhi who had singularly pushed them out of power. And I would assume it is very personal to a lot of women also. If BJP wants to be treated fairly or to be considered as a credible voice to listen to they should think long and hard about what they are doing and saying. If they are defeated in next election there is another Qureshi heading the Election Commission against whom they would cry. This is not unexpected from the supporters of BJP and Narendra Modi to call names to those who go according to the law of the land. Anything that goes against their parochial interests is against Rashtra, Hindutva and against Ashmita. They think they own this country. They have not yet become tired calling names to Sonia and Rahul. For sometime they are crying against CBI and now they are passing ugly remarks against judges to have send Amit Shah on remand. They are the same lot who hide behind the farce of Astha when legal issue is discussed about Babri Masjid. They actually believe in – either my way or high way. These are all signs of frustration, bankrupt politics and fascism. God save the nation ! In Dehradun, the ebullient BJP president let lose his tongue, when he taunted the Congress over the delay in hanging of Afzal Guru, BJP President Nitin Gadkari asked the party whether the Parliament attack death row convict was its ‘son-in-law’. 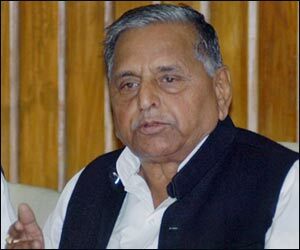 ON 12th May 2010 at Chandigarh, Bharatiya Janata Party (BJP) president Nitin Gadkari said that Samajwadi Party chief Mulayam Singh Yadav and Rashtriya Janata Dal (RJD) leader Lalu Prasad were like “dogs who lick the feet of the Congress” but later took back his words saying he didn’t mean to be offensive. In Dehradun, the ebullient BJP president let lose his tongue, when he taunted the Congress over the delay in hanging of Afzal Guru, BJP President Nitin Gadkari asked the party whether the Parliament attack death row convict was its “son-in-law”. Congress reacted with disdain to Gadkari’s remarks saying he has lost his mind and scoffed at the BJP chief. When asked by reporters whether he would apologise for his controversial remarks, Gadkari said he stuck to his stand. “I have said nothing wrong. I stick to my stand and so there is no need (to apologise),” Gadkari told reporters in Dehra Dun. It is clear that bad habits and bad society leave their mark even if you reach the moon. Now and again they crept up and unmask the reality of character and mindset. Often old Adam raises his head and people unlearn spontaneously. Last week the Lok Sabha witnessed a rare event in our democracy. An intelligent, dignified debate. It gives heart to the country to see its leaders indulge in healthy argument instead of wasteful walkouts. May this be the start of a new trend? WHEN WAS the last time we saw, or our ebullient members of Parliament allowed us to witness their arduous intelligent debates about any one problem plaguing the millions of this country? My memory is as good or as bad as any of our readers’. Of course it was last week! Those were the best of the moments of Indian Parliament. The leader of opposition Lal Krishna Advani and P.M. Manmohan Singh were debating at their best and the country and world realized what a healthy democracy India is. It was in sharp contrast to the pointless opposition walkouts. Disruptions and adjournments are no way to advance discussions on any serious issues. This debate should be a lesson for the neophyte politicians and green horn parliamentarians. 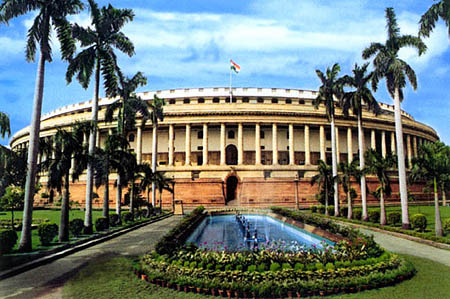 It proved that Lok Sabha is still more than capable of serving its intended purpose – a venue for the discussion of pressing issues, where the executive are held accountable. The Lok Sabha on Wednesday witnessed an interesting and intriguing dialogue when Prime Minister Manmohan Singh intervened repeatedly and rejected senior Bharatiya Janata Party leader L K Advani’s charge that United States’ pressure was behind India’s decision to talk to Pakistan. Advani suggested that the US was behind the recent Indo-Pak foreign secretary-level meet as President Obama had publicly said during his Presidential campaign that he would try to resolve the Kashmir issue. This, the BJP leader contended, marked a change in the US position as the previous US administrations had maintained that they would not mediate in Indo-Pak relations unless both the countries wanted it. In a sharp verbal duel during the debate Singh asserted that there has been no change in the US policy on Indo-Pak relations since US President Barack Obama came to power. He intervened on more than two occasions during the 75-minute speech by Advani, seeking to set the record straight on the Indo-Pak talks besides other issues like ‘one-rank-one-pension’ for armed forces. “You are using this debate to sow seeds of rift between the government and the armed services,” Singh said. ”What you are attributing to President Obama is certainly not true. In my discussions with President Obama, he has unambiguously said that there is no change in the US policy towards India and Pakistan (relations),” the Prime Minister asserted. Advani claimed that India and Pakistan had held “secret” talks over Kashmir and wanted the government to tell the Parliament what the parleys are about. P.M. countered him with the details of the series of parleys held between the former External Affairs Minister Jaswant Singh and US Deputy Secretary of State Strobe Talbott not being shared with the Parliament when BJP was in power. “Let me ask you one question. How many times did Jaswant Singh hold talks with Strobe Talbott. Was Parliament kept informed about the over dozen meetings? Why then are you expecting me to answer hypothetical questions,” Dr. Singh said. At this, Advani appeared to be defensive and said he had read about these “secret” meetings in the media. “If there is no substance, I will be happy,” he said. He, however, said the government should be cautious “even if there is an iota of truth”. Advani also questioned the utility of the recent talks with Pakistan, which he suggested marked a shift in India’s post 26/11 stand of not holding dialogue with Pakistan till it ended terrorism. He suggested that the government appeared to lack unanimity in approach over talks with Pakistan. Noted economist and Noble laureate Dr Amartya Sen had raised some fundamental issues confronting democracy in his book ‘The Argumentative Indian’. Politics and current state of affairs have always been amongst the favorite topics for a vast majority of Indians. These debates do not play any significant role in national affairs but they illustrate that political awareness is the essential ingredient of democracy and has always been inherent in the Indian psyche. The opposition must understand that ‘Dharnas’ & ‘walk-outs’ serve no purpose except that the precious Parliament time is lost. It leads to rallies and violence once it spills out on the roads. Our worthy leaders must realize that it is always better to stay and debate – even condemn and criticize – than to walk out and that too often en masse. The doublespeak of the BJP has come full circle. It has plumbed a new low in the politics of somersaults, contradiction and shifting sands. The party, whose principal plank was AKAHAND BHARAT had stooped low before MARATHI MANUS reservation agenda of Shiva Sena and now listen a clarion call, a latest diatribe by Shivraj Singh Chouhan – the roar of Lion Of Madhya Pradesh at Satna, “He would not allow Biharis to usurp jobs in the area. Karkhana lagega Satna mein aur naukri karne aayenge Bihar se, ye hum honey nahin denge. (Factories will be set up in Satna, but people from Bihar will get jobs in them, I wont allow this) .The chief minister said he had asked factories to employ local people. They will have to train local youths and employ them”. Article 16 says: Equality of opportunity in matters of public employment (1) There shall be equality of opportunity for all citizens in matters relating to employment or appointment to any office under the State. Does he ever read it?